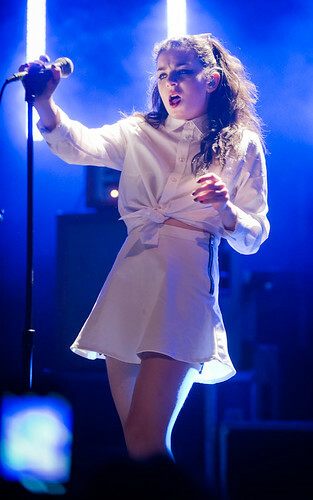 CHARLI XCX performs at The El Rey Theater. 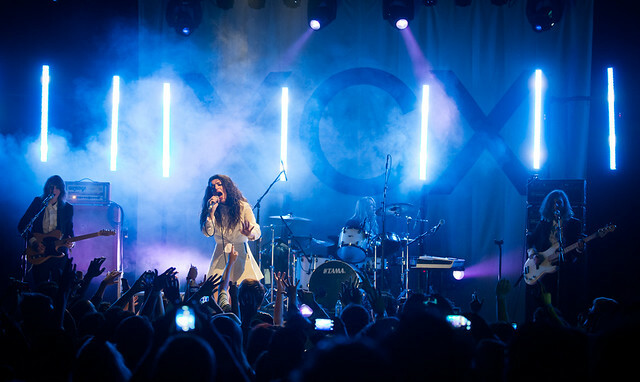 When Charli XCX postponed her headlining North American tour months before she was set to begin, many fans were upset. Who cancels their headlining tour to go and support another band? Well, if that band is Paramore, then anyone with a brain wouldn't have passed up that great opportunity. 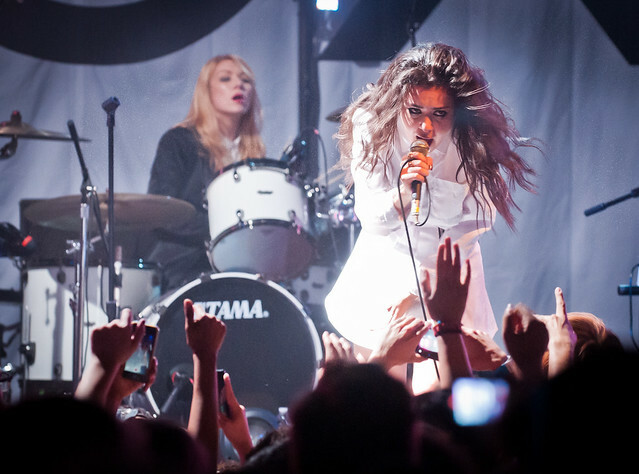 Charli XCX at The El Rey Theater. Now she's back and it looks as though her fans have forgiven her as she finally invades American shores with her stop at the sold-out El Rey Theater in Los Angeles last Monday. Although it was a school night, that didn't stop the crowd from showing up early, lining up hours before the doors opened and staying late into the night to watch her 14-song set. Charli XCX's debut album True Romance might as well be called her greatest hits album. It's filled with wall-to-wall hits, and almost every song has been remixed, mashed up and played in every club around the world making her one of the most sought after artists around, choosing to cancel her North American headlining tour last minute when Paramore asked her to join them on their U.K. tour last month. Wearing platform sneakers, short white tennis skirt and matching front-tie, buttoned shirt, Charli XCX launched into her hit "What I Like" as the crowd surged towards the stage; a sea of heads bobbing up and down, dancing to the beat. Bathed in rays of saturated red and blues Charli showcased her broad assortment of musical influences and styles - from the lush and fragile pop- ballads like "Set Me Free" and "Stay Away" to the textured melodies of "Nuclear Seasons," "You (Ha Ha Ha)" and "Black Roses." 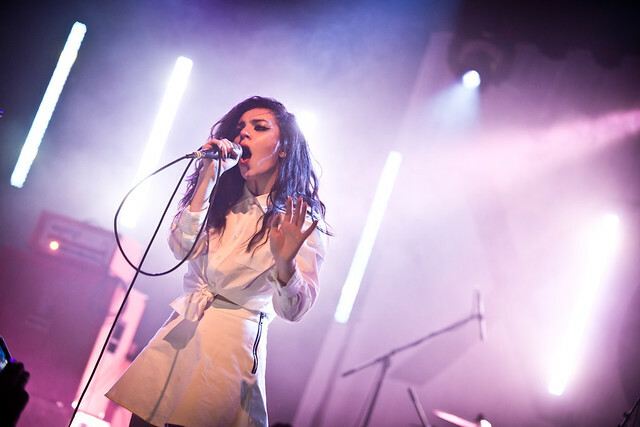 Although her major label debut album True Romance came out last April, the mainstream's first introduction to her was through Icona Pop's breakthrough hit song "I Love It" which Charli XCX penned. And it was that song that was the highlight of the night getting everyone singing, dancing and pumping their firsts in the air. Having that flair of '80 retro spunked with vintage, romantic dance melodies in songs like "Lock You Up" and "Take My Hand" made the El Rey feels like some neon-glam prom scene with hazy lights flashing and strobes cutting through the darkened venue; all that was missing was baby blue tux's and spiked punch. Charli closed her set with the dark, moody love ballad "You're The One" and the beat-driven with echoing chorus "Grins" after bringing out Chloe Chaidez of Kitten to sing along with Bow Wow Wow's "I Want Candy."